Dotted with swimming holes, covered in jungles, and sporting some of the best beaches in the country is what you’ll find in Tulum. This city is a favorite getaway that you won’t want to miss out on. Found near the tourist hotspot of Cancun, Tulum is honestly where we would spend all of our time instead of it’s more expensive neighbor. Wondering if you’re missing out? Our Mexico Destination Guide has our favorite spots so you know you’re seeing all the right places. Where Is Tulum + How To Get There? Tulum is famous for some of the world’s most incredible swimming spots; the town is covered with cenotes, or underwater limestone caves. There are a few around Tulum, but I’d recommend Dos Ojos. Translation to the “two eyes”, you can snorkel in the second “eye” which is almost completely dark. You can rent goggles with a light on top that cuts through the clear water, giving you a glimpse at the stalagmites on the bottom. How cool would it be to go light free snorkeling for the day?! The Grand Cenote is also amazing! Your hostel is likely to have tour options that include transportation and entry tickets, or you can DIY your way to these cents by taking a taxi. If you want a vacation destination where you can hike between ancient Mayan ruins before climbing down a staircase to one of the country’s most gorgeous beaches, Tulum is for you. There are loads of ruins to explore in Mexico but most include a trek into the jungle. Not here! You’ll find a Mayan complex perched above Playa Ruinas. If your Spanish is a bit rusty, that’s roughly translates to beach with ruins. Cost: Depends on you. You can find multiple guides and tour companies who will take you and show you around the ruins, with a huge range in price (about $25 - $80+). Or you can do it yourself. Pay for at taxi to the ruins and pay the 70 peso entry fee. You may need to pay 25 pesos to get from where your taxi drops you off in the parking lot to ride the tractor up to the entrance (or you can just walk). You can also hire a guide once you arrive, for about 200 - 700 pesos. Hours: Open daily from 8:00 AM to 5:00 PM. Make sure you enter before 4:30 or you won’t be able to purchase a ticket. Tips: There isn’t anywhere to change into your swimming suit, so best to wear it under your clothes and have your beach bag ready to go. It takes about an hour to walk around the ruins and it gets very hot, so pack up plenty of sunscreen and water to keep you hydrated and sunburn-free as you walk around. We love Playa Ruinas, but it can get crowded for good reason. If you want a more secluded beach, head to Playa Paraiso. You’ll find that palm trees lean into the frothy waves to make for quite the snapshot. Check out a beach side yoga class at sunset to for the perfect way to end your day. Las Palmas is another place we just love. You’ll want to eat before you go (vendors and restaurants don’t line the boardwalk like other beaches). It’s definitely one of the most secluded beaches in Tulum which means you’ll probably be able to lounge without lots of tourists interrupting your pictures. One of the reasons people visit this part of Mexico is to hang out with one of the World Wonders. You can access Chichen Itza from a few different cities, but it’s easily done from Tulum. It’s about 1.5 - 2.5 hours by bus and a ticket should only put you back about a few dollars. We have more information about visiting Chichen Itza here : it’s fully of tips on how to visit, how to get around, how to get tickets, and some stunning pictures of this famous site. As you can tell by now, Mexico is known for amazing ruins. While these Mayan ruins are amazing to look at, most are only viewable from the base, but you can actually climb atop one these ancient pyramids in Tulum. This city has other incredible ruins (we will get to those later) but Coba is unique for many reasons and definitely worth your time. Tucked away in a dense jungle, the Coba ruins make you feel like you stepped back into history without the crowds of Chichen Itza (the named World Wonder). Rent a bike for around $2 to bike around the huge pyramids before overcoming your fear of heights and climbing to the top! The entrance fee is around $4 — remember to pack up lots of water and sunscreen because it gets very hot int he jungle. 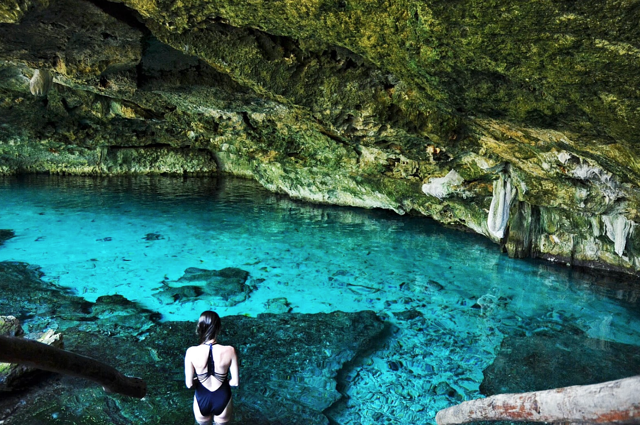 There are cenotes you can swim in just 10 minutes away from the ruins. We recommend Choo Ha and Tamcach Ha. 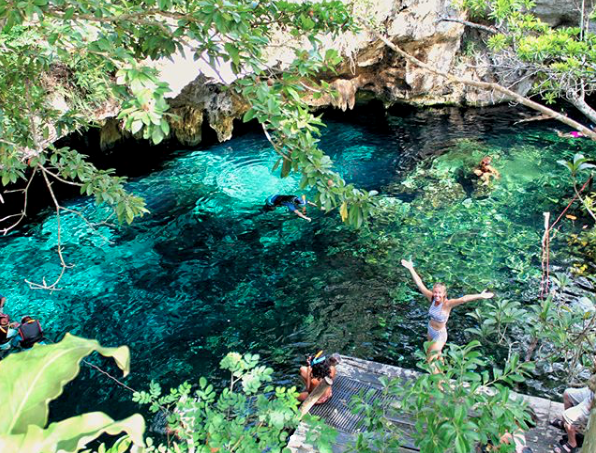 Oh, and plan on paying around $3 for the entry fee for each Cenote. Mexico is full of gems, including the pretty city of Valladolid. Plan on hopping on a bus for two hours and arriving in a city that is full of colonial style buildings in the city square, renting bikes to the churros stands on the opposite end of the main market, or wandering the colorful streets. 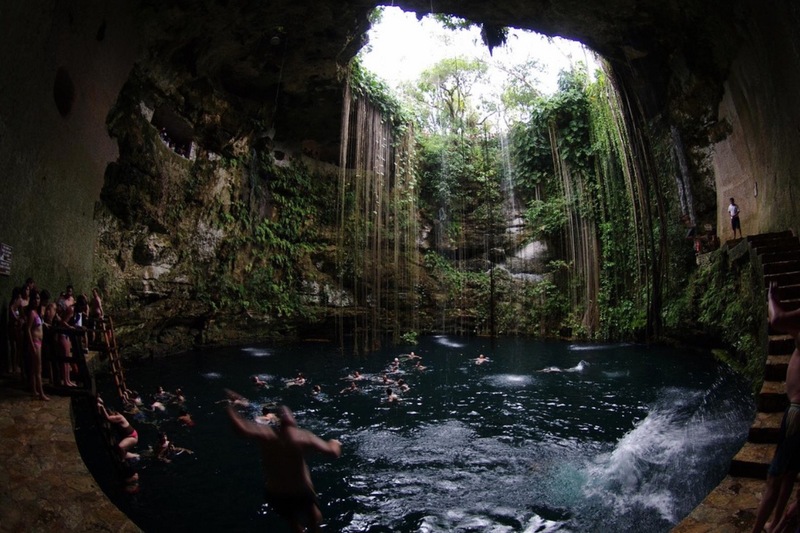 There are also cenotes to swim in here if you want to cool off. Get our guide to Valladolid here. It's really up to you, but three days tends to be the best amount of time in Tulum. Maybe more if you plan on doing a day trip to Chichen Itza, Cancun, Valladolid and the Coba Ruins, and less if you just want to swim in a cenote and visit Playas Ruinas. If you want, you can get a lot of what needs to see in two days or so. Just know that ILP volunteers in the past who have booked a vacation to Cancun and just a short visit to Tulum almost always wish they had just spent more time in Tulum rather than in Cancun. Something to think about when you're planning! Found on the Yucatan Peninsula, ILP volunteers typically bus to Mexico City before getting a flight to Cancun. There isn’t an airpot in Tulum, so you’ll want to fly into Cancun. If you book early, you can find prices from Mexico City to Cancun for about $100 - $180, depending on if you’re visiting in the summer or in a less popular month. 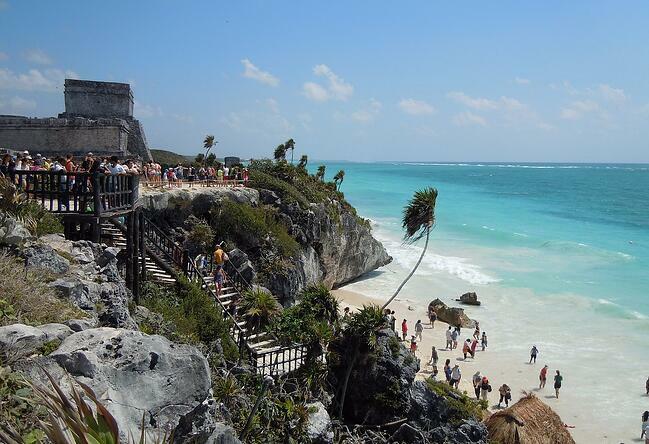 We recommend heading straight from Cancun to Tulum, or only spending 1-2 days in Cancun before busing over to Tulum. It’s about a two hour bus ride, with frequent buses that can take you there for under 200 pesos. Be sure to check the most accurate times, but ADO is a bus company that usually has buses from Cancun to Tulum at 6:00 AM to 10:15 PM, with buses every hour or so. Need more info on other destinations in Mexico? 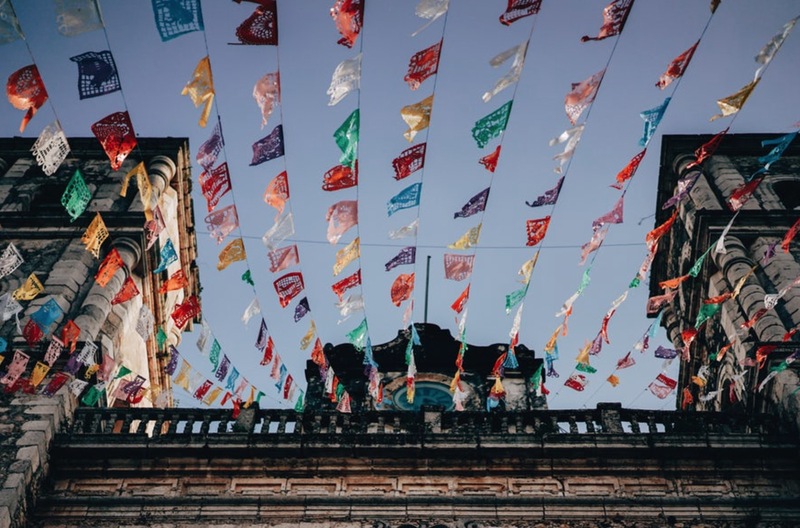 International Language Programs (ILP) gives you the chance to live and serve in countries all over the world — including Mexico. Spend a semester here traveling around on weekends and get vacation days to see even more.